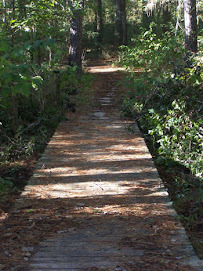 Runners and Travelers Blog: Trail Running: Should I try it? 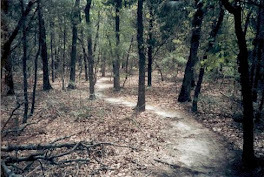 Trail Running: Should I try it? One of the newest trends in today’s running scene is trail running. 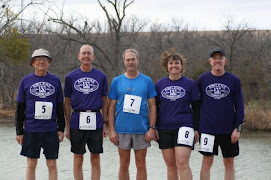 While road running has been one of the most popular ways to run races in the United States, trail running is gaining in popularity and more and more runners are entering trail races. While both types of races are fun, exciting, and great ways to maintain your physical fitness, there are some basic differences in the two environments. Road races can run anywhere from a few participants to thousands of runners all lining up together at the starting line. In fact, some road races boast 30,000 runners or more, especially when the half marathon and the marathon are run at the same time. Some races even incorporate a 10k and a 5k at the same time, incorporating masses of runners. 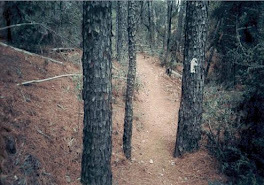 This would be unusual on a trail, which often times is run on a single track course, where only one or two runners can be accommodated side by side, so runners have to use a bit more courtesy on a trail run. We hear the term “on your left,” as other runners struggle to get past slower runners. 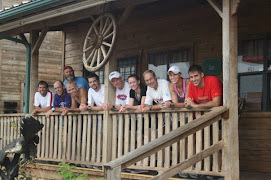 Trail races can be very informal, as well, with very little pomp and circumstance. 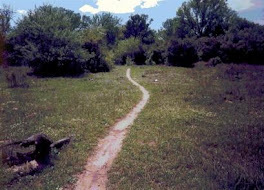 Runners tend to “string out” over the course of a long trail run, and you may experience times in the race when you are running all alone. 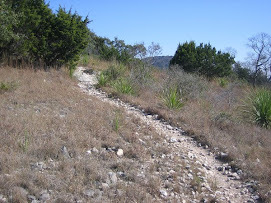 Littering the trail with gel packs or water cups, or other debris is a no-no! This is perfectly acceptable in a road race, but not on trails. Runners can be disqualified for littering. Aid stations usually contain more food items than road races, especially when the race is an ultra-running event of 50k or longer. 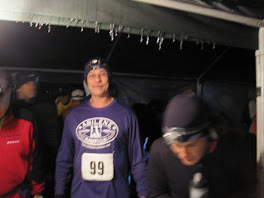 Aid stations also tend to be farther apart than road races, which may have a water/sports drink table set up every mile. Some aid station in trail races may be 3 miles apart or farther, and you may need to carry your own water bottles or hydration equipment. Some people carry their own bottles, and some people wear Camelbacks, or waist packs. Road racing is often held in the cities, and traffic must be controlled, and the scenery usually consists of bank buildings and expensive houses, as race directors and city officials show off the best parts of their cities. 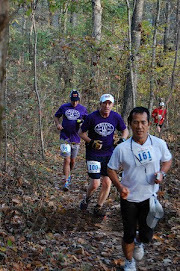 Trail races are held in State Parks, or in the woods, mountains, and around lakes. 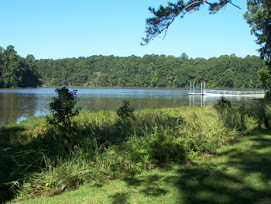 The views consist of trees, hills, mountains, rocks, wildflowers, and may contain plenty of nature. In road racing, you can count on a few hills, but other than that, it is usually a concrete or asphalt surface, and you can maintain a pretty steady pace for the most part, and you can also “zone out” and let your mind wander, reducing the amount of stress and pain felt by the run. 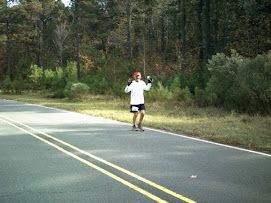 Or, to circumvent boredom, some road races hire bands to play music all along the way, keeping runners entertained. 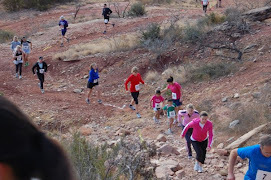 Trail races can be held in quieter venues, with no crowds, and no amenities. 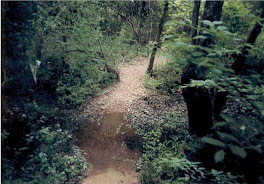 Trail races demand more attention as the surface can be wet from rain, mud, or you may be running over slippery rocks, through rivers, creeks, and mud puddles. 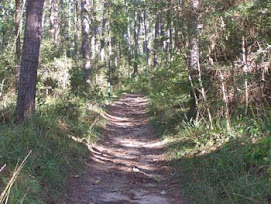 You may also run in glorious forests, over a bed of pine needles, or soft sand, or leaves and roots. Sometimes roots can be covered in leaves, leaving you vulnerable for tripping and falling. 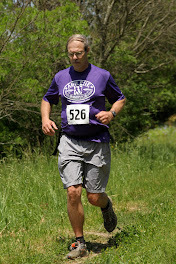 Trail runners run uphill, downhill, and both require a special skill and endurance. 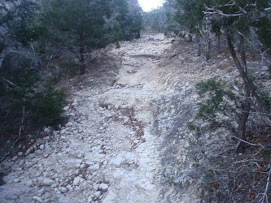 While road runners may experience hills, as well, trail runners often have to run downhill over slippery rocks, dirt, or scree, which can be tricky. Road runners have to watch out for cars, or other people who may get in their way. Trail runners don’t normally have to worry about traffic, but there are wild animals in the woods. Often, runners may hear and see Coyotes, skunks, rabbits, Mountain Lions, Bobcats, and other critters. Some ultra-runners have reported encounters with bears, moose, and wild pigs. One elite runner reported being charged by a violent moose during a hundred mile race. If you are a nature lover, trail running might just be the thing to do….it takes a different level of fitness, a different mindset, and a genuine love of nature. It can be exciting, tranquil, and invigorating all at the same time. More trail races are popping up every day, and ultra-races are becoming more and more popular. 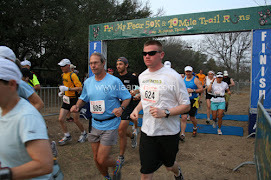 You can find trail races from 10k distance, all the way up to 100 mile races. 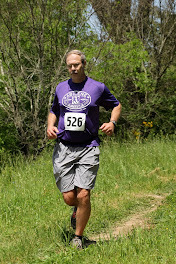 Happy running everybody…..see you on the trail. Ultra Running: Should runners go there...?